Shilajit is considered one of the wonders of Ayurvedic or herbal medicine. It is considered vital in Hindu medication and used extensively for a number of diseases. However, there are a number of reports that have linked metal poisoning with herbal medicine including Shilajit. In order to see whether it is true or not, let’s look at the result of a survey conducted to figure out heavy metal quantity present in Shilaijt. However, let’s look at its background to get a better idea of what Shilajit is and where it is normally found. Shilajit, one of the most important drugs in the ancient Hindu medication, is a dark brown exudation from steep rocks of the Himalayas that are 1000 meters – 5000 meters high. This medicine is usually found in different regions, including Afghanistan, Bhutan, Pakistan, Nepal, China, USSR (Ural-Tien-Shan) and Tibet (Himalayan Belt). It is known to slow the process of aging and makes a person looks younger than his or her age. There are six types of Shilajit based on six types of metals from which it exudes. These metals include lead, tin, iron, copper, silver, and gold. Each type possesses the same taste and is as effective as metal from which it originated.Most common forms of Shilajit used in medicine is usually a gooey black substance. It typically appears as a compact mass of vegetable matter, mixed with sand, vegetable fiber, and earthy matter. When the substance is mixed in water, it dissolves and leaves black round masses, including vegetable fibers and earthy matter. The black mass is 1/8 inches in diameter and is about the size of a pea. Shilajit contains a very small quantity of fatty acid and resin, albuminoids, gums, and a large amount of benzoic, along with hippuric acid and related salts. However, they key ingredients present in it are benzoates and benzoic acid. 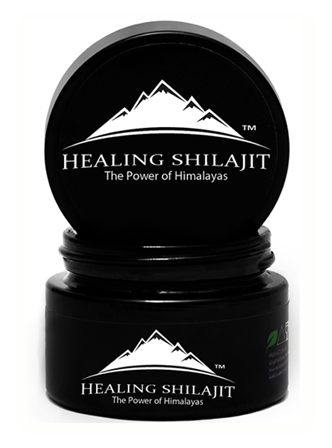 For a very long time, Shilajit was known as a mineral or asphalt resin, or a plant fossil that came out as a result of the elevation of the Himalayas. According to one chemical investigation, it consists of organic compounds, such as bioactive oxygenated dibenzo-alpha-pyrones, small tannoids, phenolic lipids, and tirucallane triterpenes. 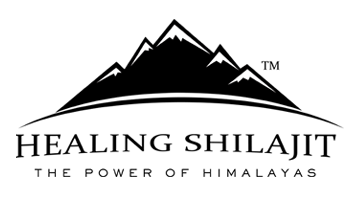 If Shilajit is collected from different sources, it is categorized on the basis of its organic components. It basically comprises the fresh remains of humus, i.e., 10 to 70 percent of water soluble part of Shilajit, mixed with plant andmicrobial metabolites that happen in its natural habitat. Shilajit is primarily used for cancer, immunology, lymphatic, haematological, gastrointestinal, dermatological, and infectious diseases. It also helps in reducing the blood sugar level. However, despite its growing popularity since 1978, a number of cases involving heavy metal intoxication in herbal medicine have been reported around the world.Estimation of heavy metal is very important so as to avoid metal intoxication, but there is a very little research in the area of heavy metal estimation in Ayurvedic medicines. The research was conducted to find out the percentage of heavy metal content in Shilajit samples collected from Gilgit (Himalayan Shilajit) and Chellas. According to the research, Shilajit from Gilgit (Himalayan Shilajit) contained Zinc (Zn), manganese (Mn), Iron (Fe), and Cobalt (Co) in higher quantity as compared to the Shilajit from Chellas, which contained Chromium (Cr) and Lead (Pb) in ahigher percentage. The percentages can be seen in Table 1. The outcome of the research shows that heavy metal components found in above mentioned Shilajit samples is not harmful to human body, and so, it can be safely used as herbal medicine to treat different diseases. There is a need for detailed sampling for further quantification of results. However, monitoring and evaluation of soil, water, and plants is a precondition in this regard, so as to put a halt on likely health risks associated with its use.